Medicare Coverage Is Often Varied because it is heavily based on what the patient/applicant needs. They may go to places where Medicare is taken, and they may go to places where it is not accepted. They must check the coverage maps before they try to use their insurance, and they must begin looking at ways they may use the plan. They may contact the Medicare administration to learn where they may go for coverage, and they may study how much is covered where they like. When searching for medical coverage during the Medicare open enrollment season, you must first and always take into consideration possible yearly changes to your plan. Every year the Federal Government makes minor changes to the Medicare system. They adjust the rates of coverage and what they are willing to pay for a specialist for procedures and medications. If you have ever worked from a W-4 employment form, you have paid into the Medicare system. And if you ever decide to claim your Social Security, you are automatically enrolled in the Medicare System. Medicare Coverage is tailored to the needs of the applicant. The age for enrollment age for Medicare is 65 years old. You can enroll up to three months before your 65th birthday. Once enrolled, you must yearly check what coverage you have and will receive for the government fiscal year. Medicare coverage changes in some manner or fashion every year. The Federal Government is always looking for ways to better serve and cover Medicare enrollees. Unfortunately, this could mean you may no longer have the cover you had the previous year. You must check your Medicare coverage at the beginning of each year. You could find changes in your premiums, deductibles, co-pays and other out of pocket costs. Each year, Medicare releases its new yearly Medicare catalog explaining the coverage for that year. This year the changes for 2019 will all be highlighted in the new catalog, which will be mailed to your home. How Much Do Users Pay For? Users must ensure they have checked coverage before they make their choices for care. It is important that someone who goes into a medical office or nursing home knows how much they will cover when they arrive, and it is important that someone who is in need of care will look over what Medicare pays for. There are many different people who will check online before going to see a doctor, and they may call if they are unsure of what will be covered. Last year Medicare beneficiaries were happy to see a $50 increase in their initial coverage limit for Medicare Part D. The new limits for 2018 were $3750. The out-of-pocket threshold for Medicare in 2018 was $5,000, which is $50 more than in 2017. The maximum copay for 2018 was $3.35 for generic drugs and $8.35 for other drugs. Increases in benefits are not guaranteed every year. But they are very nice when they do occur, as last year. The only guarantee we do have is that each year the government will make some changes to your benefits and coverage that is intended to benefit all patients. Sometimes the changes are not too noticeable. But occasionally, as with increases like last year, the changes are changes that make a pleasant impact on individuals. This year, the benefits which were increased last year may have changed. From one year to the next, you may not know what is covered and what is not covered. That is why it is very important to review the new Medicare for 2019 catalog to see the changes for 2019. Medicare recipients will have to check their coverage to verify any changes this year when you receive your catalog. The government has the right to change your personal coverage limits, co-pays and out of pocket cost. Things that were covered last year may not be covered this year. Your premiums can be increased. Your deductibles can change. And your co-pays and out of pocket cost for office visits, medications and other medical supplies may be changed. Therefore, if you are accustomed to using Medicare, you definitely should check your coverage each and every year. The Federal Government often changes or eliminates certain coverages each year. They may even totally eliminate certain medical offices or facilities from the Medicare provider rolls. They may also reduce the coverage rate given to certain providers who remain on the providers roll. This will change your co-pay and out of pocket cost when you visit your physician’s office. The reason why you may have a physician today who is not on the Medicare providers roll the following year is that the government must negotiate its terms and agreement with physicians and facilities each year. Therefore, it is wise for you to go through the process of finding a physician who is on the providers roll. All physicians on the current year’s providers roll will be listed in this year’s new Medicare catalog. If you have any questions, you can contact the Medicare Administration at (1-800-633-4227), if your provider is taken off the Medicare provider rolls. They will be more than happy to assist in finding another physician who does take your coverage and is on the providers roll for this year. 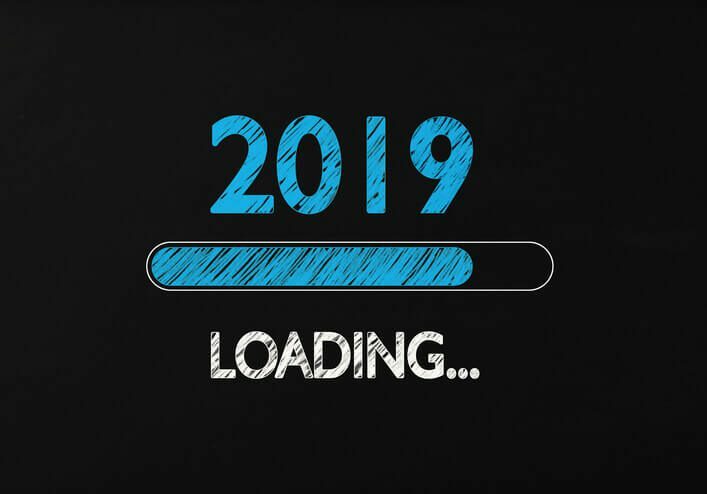 They can go over the changes in the Medicare for 2019 catalog with you and verify any listed changes for 2019 that may affect you. It is very important that you check your expected coverage each year. All patients will find some changes in coverage. You must know your current coverage and compare it to the coverage listed in the new Medicare for 2019 catalog. Medicare rates change every year, and the tax rate for those changes to ensure everything is paid for properly, and there are many different people who will notice the taxes changing. They will pay more into the system, and they will use their money themselves when they are taking advantage of Medicare as a whole. The taxes that are changed every year are reflected on the tax forms for the customer, and they will see how much they are paying into the system. One change I found in the catalog of Medicare changes for 2019 is that the government has replaced the Medicare Advantage dis-enrollment period with a new arrangement. These changes will be effective starting in the 2019 year. The current dis-enrollment period is January 1 – February 14 every year. This information was released by the Center for Medicare & Medicaid Services. This will effect may enrollees when they are looking to change physicians or medical facilities during the dis-enrollment period. This and more information can be found in this year’s new Medicare catalog. Changes to the Medicare rates and Individual Medicare tax rates taken from pay also happen each and every year. Employees will notice on their paystubs the changes that were made this year. The changes will also be reflected on their end of year tax forms. The adjustments were made to ensure everything that needs to be paid for by the Medicare system, is paid for properly. The more you pay into the system the more you will be able to withdraw when you apply for this benefit. All tax changes for 2019 can be verified in the new Medicare for 2019 catalog. You must periodically check your input into the system and check what you gain from the system by paying into it. The new Medicare catalog will list all the changes in premiums, deductibles, co-pays and out of pocket costs. It will list changes in the providers roll and all tax adjustments for the new year. And it will list any changes to employee taxes. Be on the lookout for your catalog, and review how your coverage and taxes may have changed. Everyone who is looking for the finest coverage must ensure they have spent time checking on what they may gain from the system. The system is easy to use, and it will pay for a number of things the patient needs. Patients who are in the Medicare system will find that their coverage changes here and there, and they must research all the changes that may be made. It is simple to find Medicare coverage, and the person who has looked into it carefully will find it simple to know what the government will pay for.